Hello, hello sirs and mesdames! It’s been a while since our last update. Today is a great day for an update, as it’s Universal Music Day! I know you can sense where this is going; Yeah! We got music! We found two talented composition students who were immediately enthusiastic to help us out. They have been working together like a team in which one created our very own official theme, and the other juggled with some great sounds to add to the experience! Not only music and sounds are up and running, we’re also showing off at two great conventions in our small Belgium-country! We were at GameForce last weekend where received great response and feedback. Next weekend, we’ll be presenting QuizTed at the biggest scifi and fantasy convention in Belgium; F.A.C.T.S.! This was all made possible with the help of the Flemish Game Association (FLEGA)! So we’d like to thank all of you guys who were present at GameForce, and will be at F.A.C.T.S.! Yes, we think long-term, that’s what we do. Of course, please do check out our now music-ridden QuizTed game in the previous event quizzes which you can find in this blog, or play the English GameForce quiz with some friends! Please do let us know what you think in the comments below! 12 QuizTed questions to enjoy Poet’s Day! Poets are special people who dare to reach deep into themselves to share some of humanity’s common fears, dreams and shared reality. 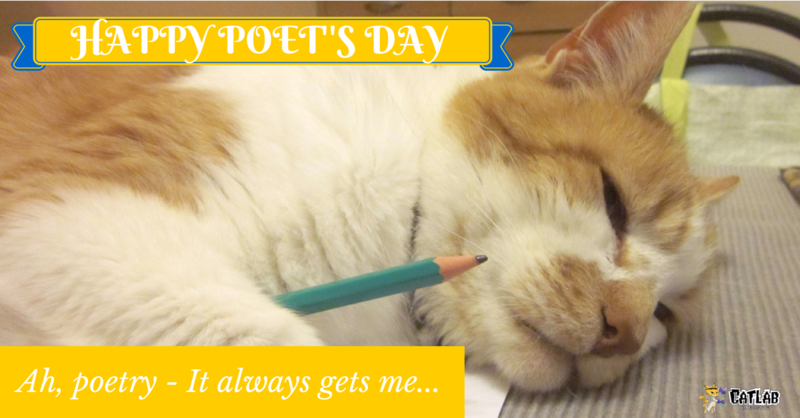 We created this short quiz for all poetry lovers as it’s Poet’s Day today! Do test the party game option with the people around you to share the experience and the love! Posted bydaedeloth August 20, 2014 January 7, 2019 Posted inQuizzesTags: QuizWitzLeave a comment on 12 QuizTed questions to enjoy Poet’s Day! Hi, we’re CatLab Interactive, a young indie game studio from Ghent, Belgium. Just like you, we love cats, facts and a great social experience! Because today is BOOK LOVER’S DAY, we made this particular quiz in honor of the best thing writing has to offer: books! Prowl down to find out more about our game! Discover our party quiz game. It will be tied to its very own community where you’ll be able to collect and create your very own question packs. 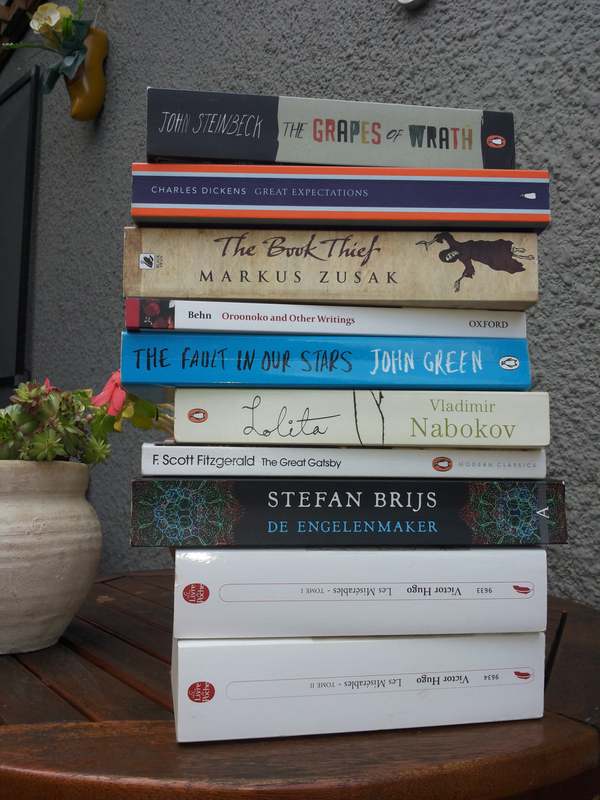 Once collected, they will be added to your personal library. Of course you can also publish yours for others to enjoy. When you want to challenge friends or family, you’ll need a browser to run the game. Players can join your quiz by entering the game number into a browser page on any device. That way, everyone can compete! Afterwards, you’ll be able to rate the question packs and select other packs for the next game! If you have any more questions, just try out this game teaser, or follow us on Facebook for future updates and news! Writing is one of mankind’s greatest achievements, so it would be sad to neglect this great day! Let’s celebrate together and help each other to find great new reads! Put all book recommendations and thoughts about the quiz in the scratches below! 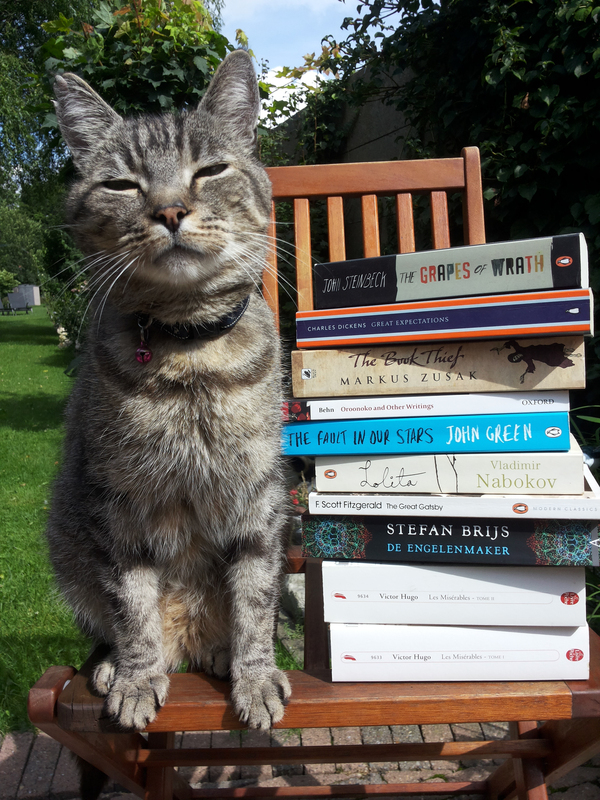 “Books learn people many things, but do they know more than cats? I doubt it!” Play quiz! 12 engaging QuizTed questions to celebrate the World Wide Web Day! Do you have anything planned for this special day? A selfie or a pic with your cat maybe? Why, you ask? Because it’s World Wide Web day today! And just like you, we love everything about it! As a game studio we rely heavily on the functionalities the Web (Yes, we use a short) has to offer. That’s why this post is our tribute and at the same time we’re introducing our new project: QuizTed! The game will be a global party quiz game connected to its very own community where you can collect your quiz packs and create your very own! Test our new party quiz game platform QuizTed yourself! Consider yourself teased. First things first! The World Wide Web is not the same as the Internet. The latter is a networking infrastructure which makes it possible for millions of devices to link up as long as they’re connected. The Web is a way of connecting to data sent over the internet. There are more systems available to connect to the internet, like email, FTP and instant messaging. These systems use a protocol which is used to transfer data over the internet. The Web uses the HTTP protocol. The Web was conceived by computer scientist sir Tim Beners-Lee in March 1989. He wanted to create a more effective communication system for his employer at the time, which was the multinational CERN. When he first presented the proposal to his superiors, it was dismissed. Sir Berners-Lee however, persevered and started working together with his Belgian colleague Robert Cailliau. In October 1990, they had specified the 3 basic principles of the Web: HTML, URI & HTTP and some time later, he had created the first web browser & server. By April 1993, the Web was opened, license-free to everyone around the world. This sparked massive response worldwide and from there on, the Web evolved rapidly. 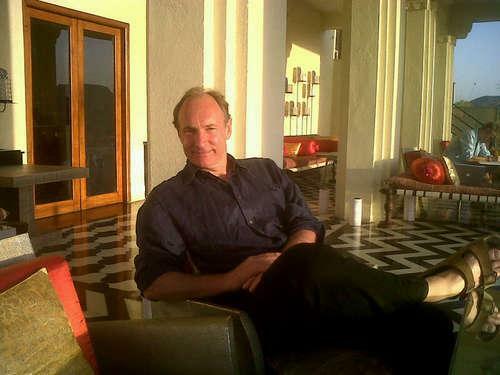 Sir Berners-Lee founded several organizations to protect the use of standards in the further development of the web in order to keep it accessible to everyone: the World Wide Web Consortium, World Wide Web Foundation and the Web Science Trust. Late 1992, students at the University of Illinois created MOSAIC, the first user-friendly web browser credited with popularizing the Web. Game Development dates back to the days the internet itself was being developed in the 1960’s. 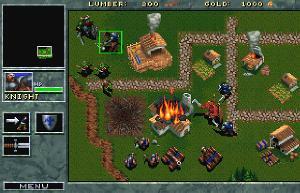 The first multiplayer games were mostly MUD’s, or Multi-User Dungeons. They were mostly text-based interaction RPG’s or more graphical games, the most expensive of which was Island of Kesmai, for which you’d pay a staggering 12$ per hour to play! 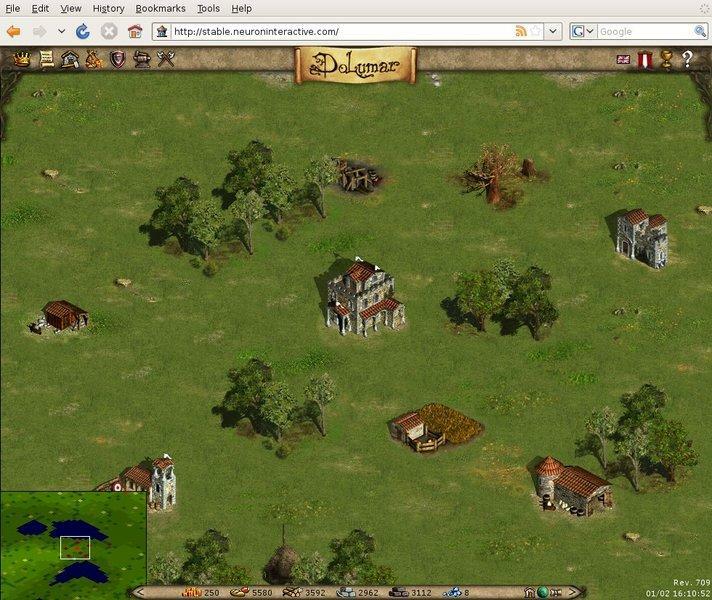 An example of Web games is our very first game project Dolumar. A persistent browser-based game (PBBG), in which you get to build your own empire, given you collect enough runes to build it up over time. Played solely in your browser. Imagine what we would be without the Web! We just love the way the Web and the internet connect everyone on the planet. Today, 35% of the people on Earth are connected to the internet, but if we’d manage to abolish world hunger, war and other nasty scourges, we’d be able to increase that number significantly! As possibilities are becoming more and more elaborate, we’re able to develop way more creative games as a result. That’s why we’re working on a new project which is inspired by parties with friends and social media; two of your favorite things, admit it! To support the positive vibe, we’re working on a new project which is inspired by testing your knowledge with friends and social media; two of your favorite things, admit it! You’ll be able to connect to the game and quiz with your party guests, collect your own question packs or create new ones to test your friends! Play our quiz here, and do let us know what you think! Quizzes challenge us to think further, thus creating a platform for social quizzing will bring more people together. But hey, I’m a cat; what do I know. Posted bydaedeloth August 1, 2014 January 7, 2019 Posted inQuizzesLeave a comment on 12 engaging QuizTed questions to celebrate the World Wide Web Day!